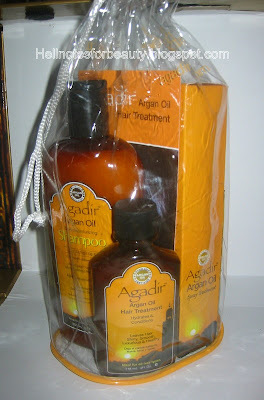 Friday I received my Agadir Moroccan oil gift set I won on Beauty Logic’s blog. Her blog is fabulous, informative, funny and Mrs. DE always has something great to give away. I was so excited when I entered and went crazy when I found out I won. I hardly get the chance to enter and win anything so that was very fun and exciting. Everything smells so good. From the oil to the shampoo it just has this very pleasing scent. Of course I had to use something so I used their sulfate free/paraben free shampoo this weekend instead, of my Hair One sulfate free shampoo from sally’s. I used a very small amount and this shampoo lathered quickly and provided a rich lather. My hair was very tangled and dry before washing, ( I believe it’s the coconut oil ) but once I applied this shampoo my hair instantly felt very soft and detangling was a breeze. 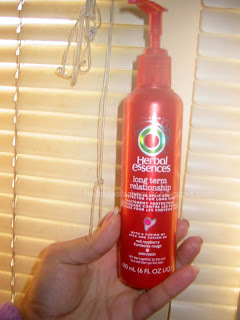 This shampoo is creamy but light, unlike my hair one shampoo, which is much thicker and creamier. 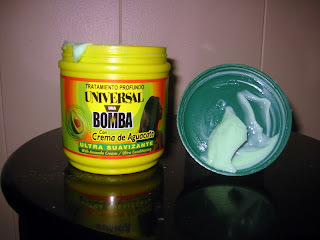 I feel it did a good job cleansing my scalp and of course the scent is great, so far so good, I like it. I followed Agadir’s Moroccan oil shampoo with La Bomba deep conditioner, added a little castor oil and went under the dryer for 15 mins. I then rinsed la Bomba and followed with hello hydration conditioner. I was tempted in using Agadir’s conditioner but since I had a bit left of hello Hydration I wanted to use it all up and get rid of what was left. I had planned on staying away from heat, even indirect heat from the dryer, for at least a whole month since I felt I put my hair through so much damage on my last salon visit. Lately however my hair seemes to get really dry and tangled when I air dry. I was thinking it was the coconut oil so I’m switching back to Castor oil and see how my hair reacts when I air dry with Castor oil and lay off the coconut oil for a bit. 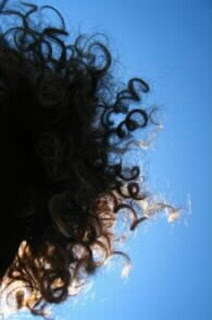 My hair has gotten so thick from using Castor oil that now it’s difficult trying to tame my curls, fro. So I decided to roller set and used my chi keratin mist followed by the agadir argan oil as a leave in for my roller set. The oil is very light and once again the captivating scent is great. Unlike my One n Only Argan oil from sally’s, Agadir’s argan oil feels like this very silky oil with a very slight thickness to it as opposed to the one from sally’s which is very thick, like a serum. 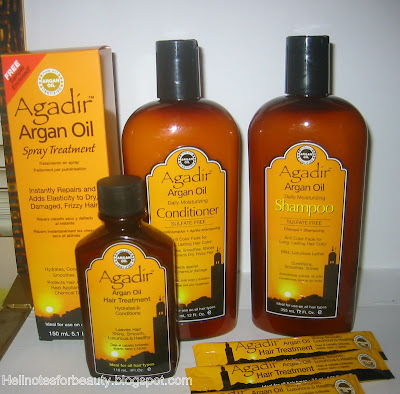 You can use both sally’s and Agadir’s oil on wet or dry hair. I used Agadir’s oil both ways and the results were great. After I had my rollerset in I sprayed a little bit of the Agadir Spray treatment which also doubles up as a heat protectant and fights against humidity. I sprayed all around the rollers and went under the dryer for about 45 minutes. 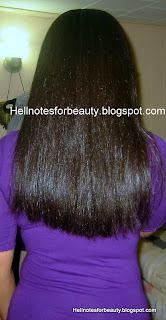 My hair actually dried much faster, smelled heavenly and the shine and light feeling my hair had was amazing. My hair did not feel greasy or weighed down at all. 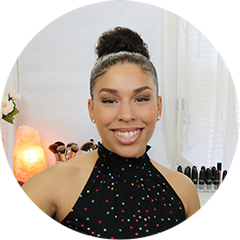 After I took out my rollerset out It was rather humid and muggy Sunday so I applied a little bit of Agadir’s Oil treatment and oil spray lightly, wrapped my hair did some things around the house and when I took out my wrap, my hair was so bouncy, light and just so beautiful. I moisturized my edges with ORS olive oil moisturizer and sealed with Castor oil last night and had amazing hair this monday morning. I may not be using coconut oil to seal anymore. I like Castor oil better and I notice a lot less shedding with Castor oil as opposed to coconut oil. That’s because at least for me coconut oil drys out my hair and just makes it hard at times. 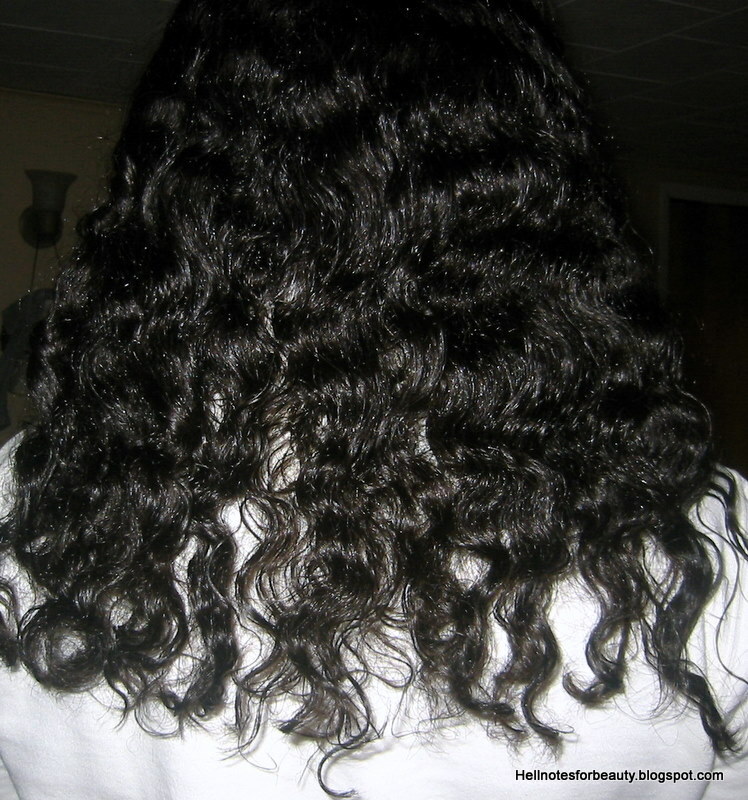 Some say that perhaps the interaction between the climate and coconut oil can determine how your hair reacts. So for now I’ll switch back to Castor since coconut oil does not work as far as a daily sealent for me. 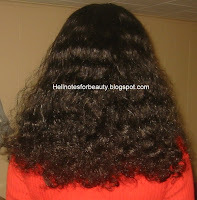 These were the results, hair I can manage for the week. 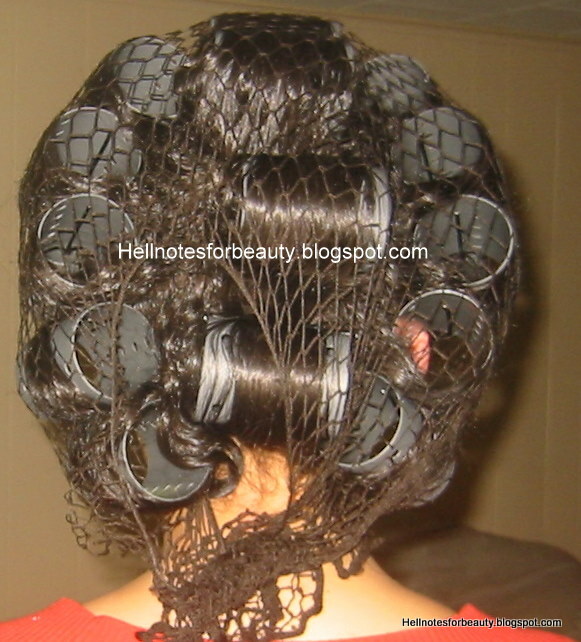 I would rather air dry my hair but seems like these past two weeks coconut oil has not been agreeing with my hair. 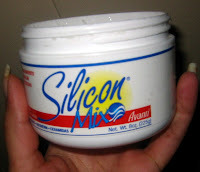 So I’ll seal my moisture with Castor oil and just add coconut oil to my deep conditioners or as a pre-shampoo treatment. Despite the humidity my hair stayed put no frizzes which was great. I think I’m going to be using Agadir’s set for the next month or so to give it a full thorough review and see how well the set works with and without heat. 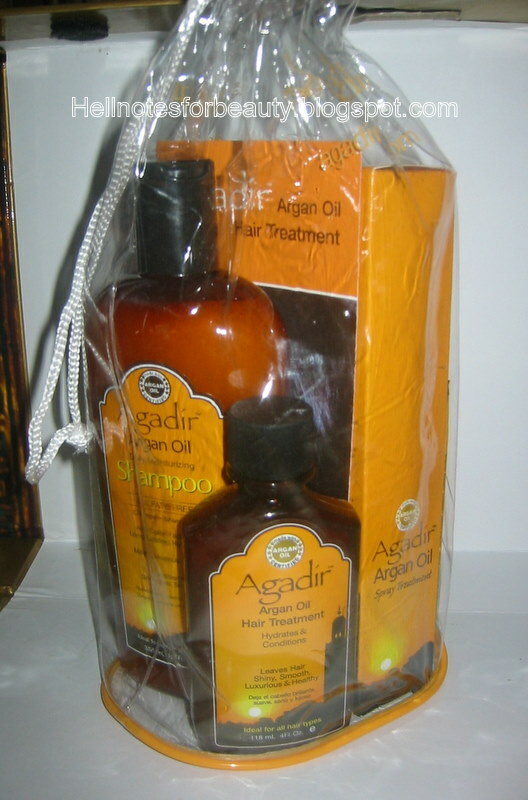 You can also check out Beauty Logic’s review on Agadir Hair products here. This is going to be a double review of both Nacidt Olive Oil and Nacidt Avocado. 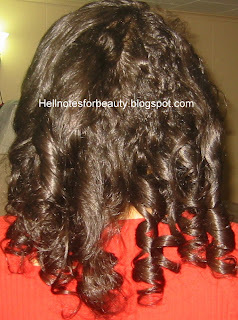 First Off I have very dry curly hair which can be tamed with moisture. 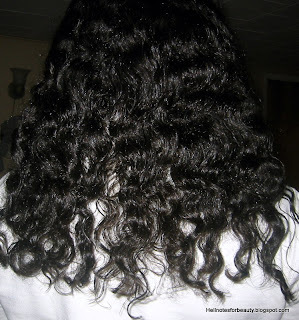 My hair is very dry and course along the edges (3a- 3c depending), my hair kind of resembles alicia keys’s hair to give you all an idea. I have to say that this is my favorite Dominican moisturizing deep conditioner. 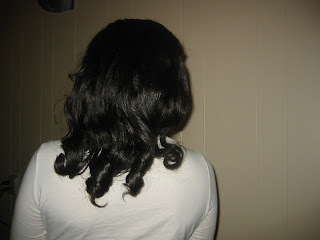 Everytime I rollerset and use Nacidt Olive oil with heat for 15 mins the results are fabulous. My hair is shiny, moisturized and bouncy and I have yet to try another deep condtioner that leaves me with the same results. It just never fails to deliver especially when I pair it with Lacio Lacio ( review soon ). 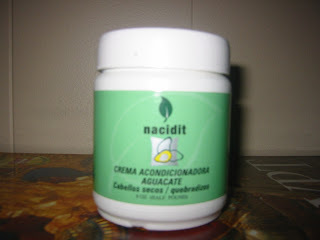 Nacidt Olive Oil has a very light scent to it and it’s kind of creamy but not too heavy. 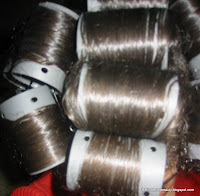 Lacio Lacio to me is what really gives it the finishing shiny results after I rollerset but the LASTING results are another thing. I say lasting reults because Nacidt Olive Oil leaves my hair moisturized even after five days. 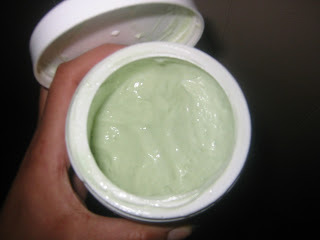 I moisturize and seal with ORS moisturizer in a jar along with castor oil to seal and the results are truly everlasting. 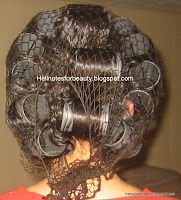 Braidouts are beautiful and bouncy and my hair feels very thick soft and shiny. 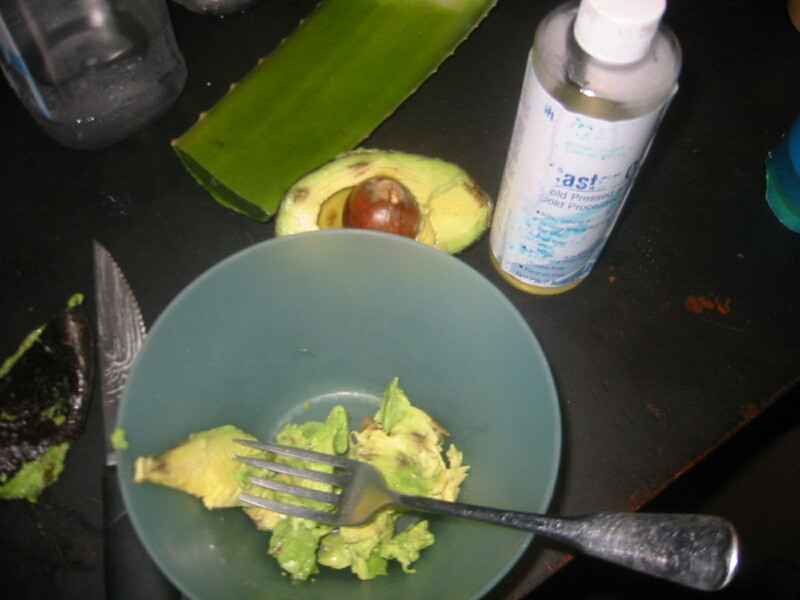 Nacidt avocado unfortunately does not deliver the same for me in terms of softness. When I used it with the same procedure as I did with the olive oil one it left me disappointed. However I have to consider that the olive oil one says in spanish ( para cabellos quimicamente processados) which means for chemically processed hair and mind you I’m natural no relaxer or hair colors. 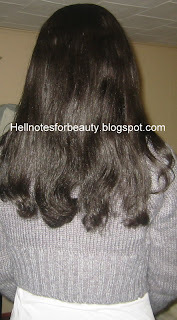 So i’m guessing that for those with chemicaly porcessed hair Nacidt Olive Oil will provide more than enough moisture. 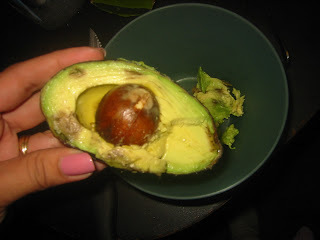 On the other hand Nacidt avocado is for ( cabellos secos/ quebradizos) meaning for dry brittle broken hair. So I guess Nacidt avocado tends to have a little more protein to it than Nacidt Olive Oil. It did not leave me with that moisture or slip I was looking for. It left my hair a little hard and was not as bouncy as with the olive oil kind. So this week I headed to the beauty supply store and picked myself up the larger version of Nacidt olive Oil and was so curious that on my way picked up the Rinse (conditioner). I want to see how it turns out using the rest of Nacidt’s products. 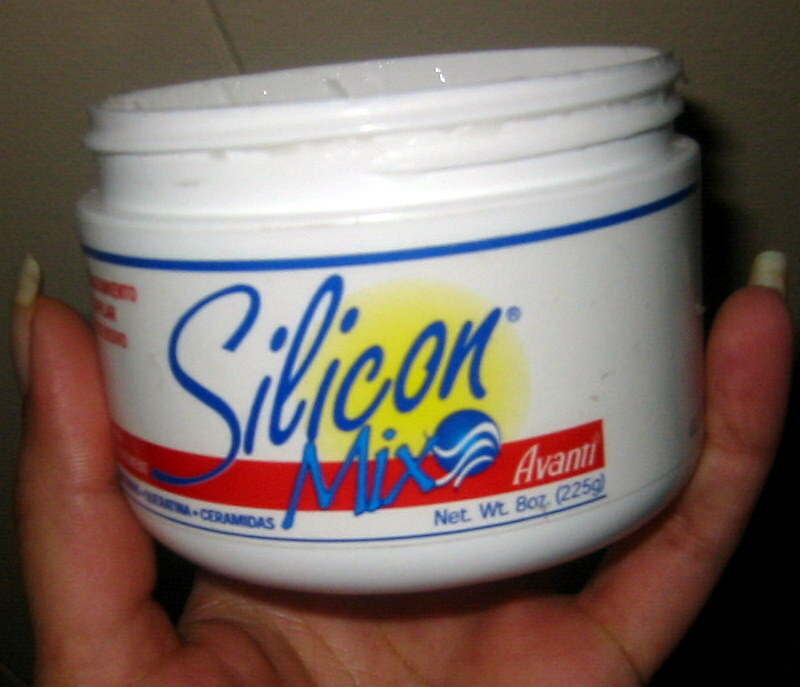 I’m also eyeing the coconut oil hair masque as well. 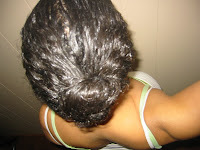 This is how my hair looked the next day. 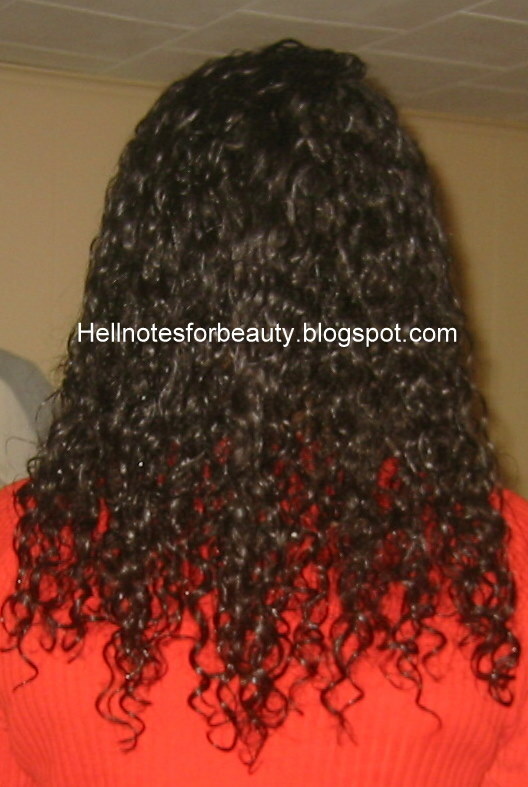 It was very shiny and soft and as usual my hair felt moisturized as opposed to dry and hard. 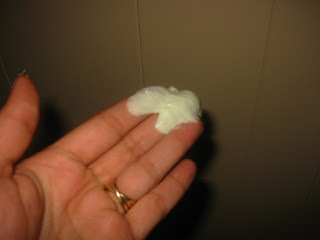 I also did not have to put extra hair moisturizer to make it soft again. 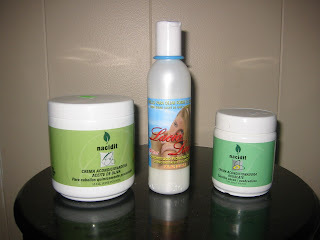 This weekend I will try nacidt’s olive oil hair conditioner (Rinse) and see how well it turns out! 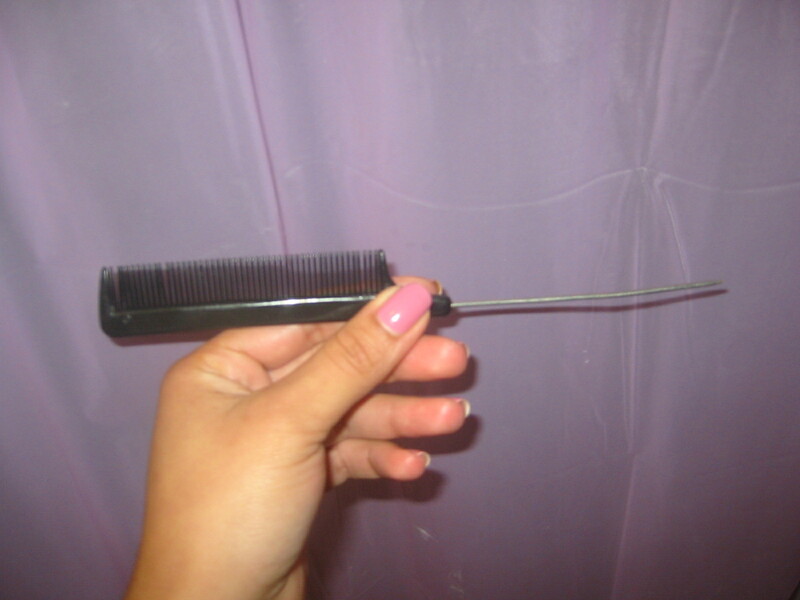 I usually switch it up every other week and my hair just does not look or feel the same unless I use this method. But I know it’s Nacidt Olive oil which is why This week I headed to my local BSS and got me the biggest jar since this one has passed the test for sure.